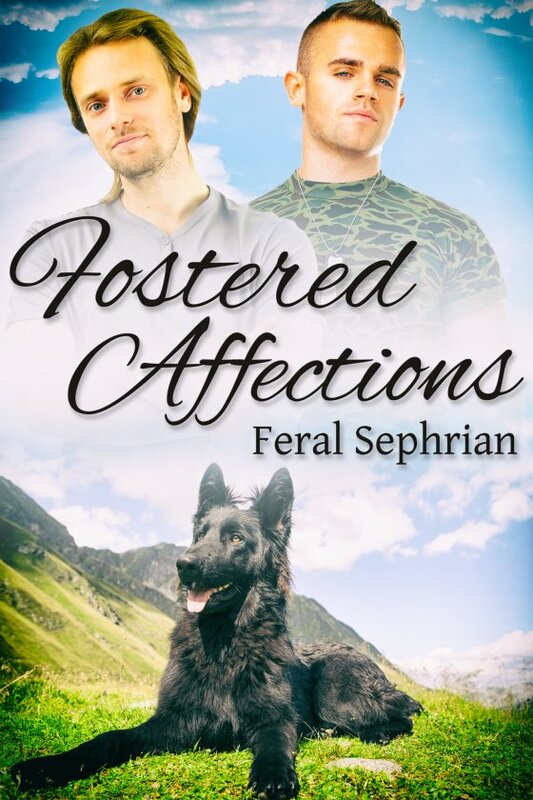 Fostered Affections by Feral Sephrian is now available! Austin Inverness loves dogs and his wife, Erika. Erika was the only girlfriend Austin ever had who didn’t judge him for being bisexual, and dogs never judge, period. Unfortunately, Erika isn’t much of a dog person. Airman Neil Stafford has been deployed to Turkey for a six-month tour and he enrolls his schipper-poo, Bunny, in the Fosters for Fighters program that arranges fostering for soldiers’ pets. There he meets Austin, who will foster Bunny while Neil is overseas. The two men keep in touch via Skype and Austin is delighted by how well they get along. Erika, on the other hand, is delighted by how little she has to do to take care of Bunny. That is, until Bunny needs an emergency trip to the vet. By the time Neil returns home, Austin has noticed key differences between his wife and the new friend he can’t stop thinking about. As for Neil, he knows for sure he wants Austin in his life, but not at the cost of his friend’s marriage. When Austin realizes Erika questions his bisexuality, the cracks in their relationship quickly spread and Austin questions everything, including if he can make the right choice. Will Austin and Neil be able to overcome the bumps on the road to happiness?